I contributed a collaboration with Christina Vantzou to this benefit compilation put together by Keith Kenneth (Helios) and his wife Hollie. Other contributors include Ryuchi Sakamoto, Loscil, Windy and Carl, Jefre-Cantu Ledesma, Liz Harris, Deru and so many more. 100% of proceeds go to non-profits that support the environment, investigative journalism, women and minorities. Digital available for preorder now, vinyl and CD coming soon via Western Vinyl. More info here. Bandcamp and soundcloud below. Peter Burr (animation) and I (sound design, music) made a cartoon for Adult Swim's Off the Air "Words" episode. Starts about 1:28 into the episode. Pattern Language, for which I composed two movements of music for synthesizers as well as leading sound design, premiered at International Film Festival Rotterdam this year. 'Pattern language' is a term coined by architect Christopher Alexander to describe the existence of certain human ambitions through an index of structural patterns. In this film, highly organised and richly layered patterns move in accordance with audio frequencies and rhythms, towards the construction of an endlessly mutating labyrinth. Spent a few hours playing records on the Lot Radio the other day with Nina and Christina, starting about hour into this fine mix. This November, Forma does a run of North American tour dates with our fellow Kranky artist Steve Hauschildt. Two nights of Kranky artists, including Forma, this November at Le Poisson Rouge in Manhattan. “Pattern Language” is a term coined by architect Christopher Alexander describing the aliveness of certain human ambitions through an index of structural patterns. Some advocates of this design approach claim that ordinary people can use it to successfully solve very large, complex design problems. In this installation, Peter Burr employs the vocabulary of Alexander’s system towards the construction of an endlessly mutating death labyrinth, projecting this world inside an immersive multi-channel video environment. Forma’s Physicalist is available everywhere today on 2x LP, CD and digital. The release show is tonight at Park Church Co-Op in Greenpoint, Brooklyn. I am premiering a new piece for piano, synthesizer and strings on August 26th, 2016 @ my loft in NYC, The Schoolhouse (330 Ellery Street, 3rd Floor, Brooklyn). Also performing are Laraaji, Leo Svrisky, Britton Powell, Energy Star and our friends RVNG Intl. taking care of music selections between pieces. Sure to be a wonderful evening. Here’s a mix I made with Christina Vantzou. I arranged and performed synthesizers for her new record No. 3. Fact Magazine says our mix is one of the week’s best. Playing synthesizers with Christina Vantzou’s orchestra in Belgium in April 2015. I’ll return to Belgium in August for a performance at Ancienne Belgique in Brussels. Some very nice gifs from Cave Exits, which features original John Also Bennett music and sound design. In video games, there is the concept of a dungeon that generates itself: an endlessly mutating death labyrinth. Cave Exits sets this living structure inside a 4-channel video cube. Recalling the way we interact with online media – clicking, zooming, scrolling – it turns the visual archetype of the labyrinth into a circuit board for lost, anxious feelings. From a simple shift in perspective (moving from within the constricted maze-paths to a vantage high above the spatial coil) the claustrophobic corridors become a dazzling pattern of complex artistry. Viewers are unable to process all incoming information in a single sitting, having to choose between screens if they want to sate their curiosity and learn more about the shifting structure. Unlike choosing between branches in an interactive narrative where the peripheral is an explicit set of controls, here the peripheral will be the human neck and eyes, allowing for expression beyond mere hardware. Three tracks of harsh/ambient noise derived from field recordings of a singularly awful city. Unlike many field recording projects, focuses more on mechanical and electric droning sounds than traffic noise, etc. For when you need to be reminded how much you hate living in an urban area. 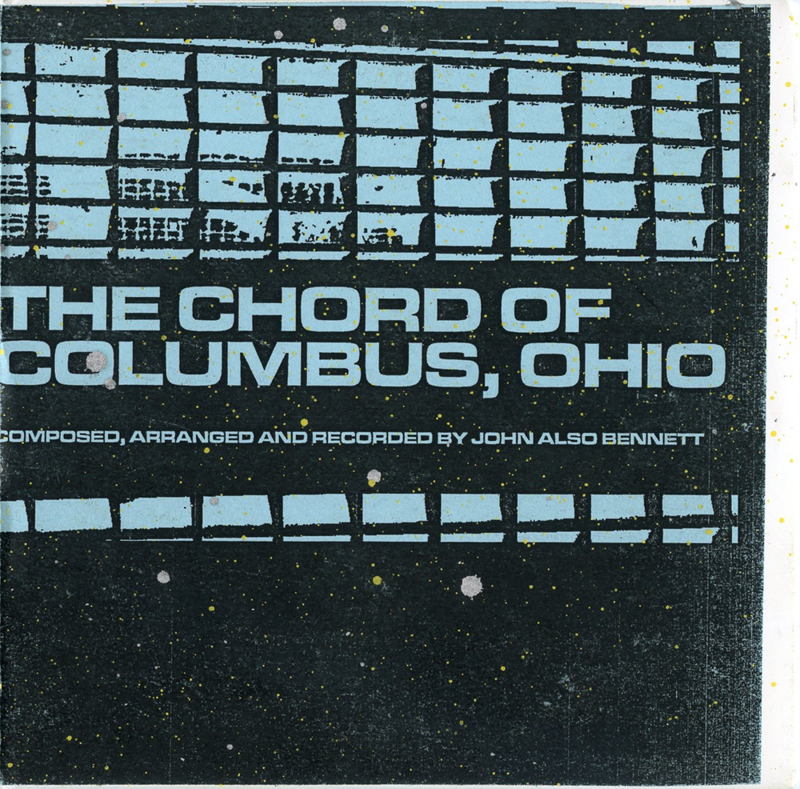 Thanks to this guy for uploading The Chord of Columbus, Ohio, a totally out of print field recording project of mine from back in 2010. Original music and sound design for CAVE EXITS, a new project by Peter Burr. Developed with 3ldnyc. A mix of ambient and cosmic music I made for Progressive Infinite. Stream below, download the entire mix here for free. Seabat and Lucky Dragons’ soundtrack to Peter Burr’s Special Effect is now available on Vestibule records. Get it here. Two bumps for Adult Swim with Peter Burr.